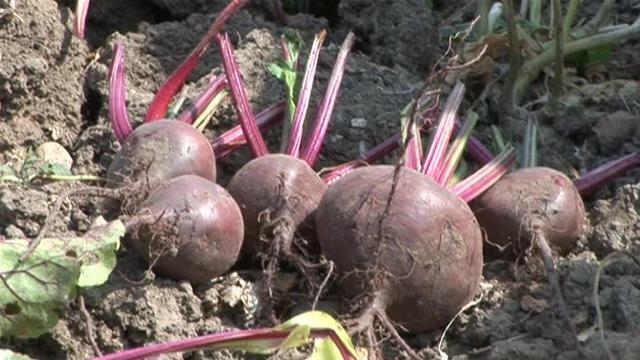 Beetroot is an extremely underrated crop yet very easy to grow. Packed full of health promoting antioxidants, they also have unusually high nitrate levels which clinical trials have shown helps reduce blood pressure. Of course, after you have gone to all the trouble of growing them, you will want to harvest them at the right time in order to get the most out of them. Pick them too early and you haven't made the most of your crop, and pick too late and you will risk losing flavor, and texture. 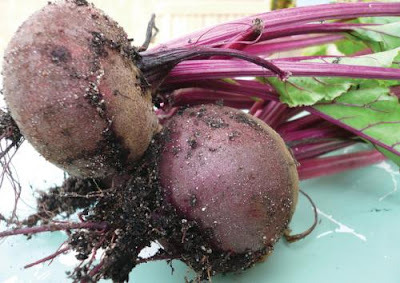 Depending on variety, beetroot is ready to be picked when the roots are between the size of a golf ball and a tennis ball. This is usually 90 days after sowing. To harvest, gently hold the tops and lift while levering under the root with a hand fork. Remove the tops by twisting them off with your hands to prevent the plants bleeding their juice. But don't throw these away because these beetroot leaves are in fact edible too. They have bags of taste and can be cooked and eaten like spinach.